Though we’re still a few weeks out from Thanksgiving and Black Friday, it’s never too early to start thinking about gifts for the comic geek in your life. Luckily publishers are offering an embarrassment of riches in terms of deluxe editions and giftable items for budgets large and small. Here are a couple that I’ve spotted. 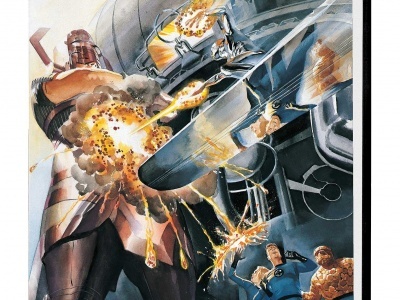 Bill Sienkiewicz’s: Mutants and Moon Knights Artifact Edition (IDW Publishing). If you’ve been really good this year, maybe you’ll wake up with this drool-worthy edition under your tree. 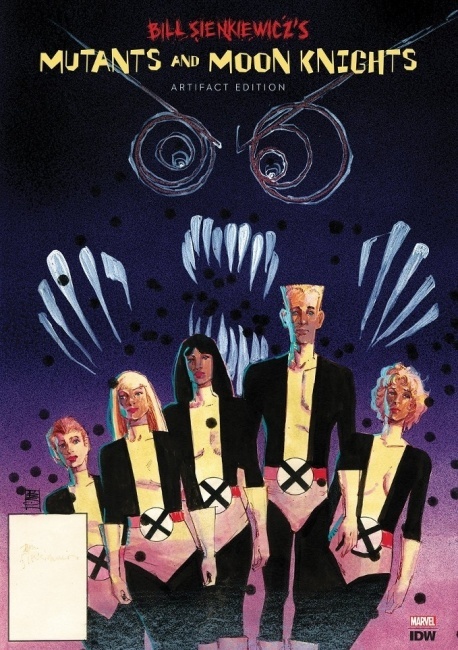 Almost any artist/artifact edition these days is worth a look, but few artists threw more at the page, literally and figuratively, than Bill Sienkiewicz back in the days he was making his name at Marvel doing Moon Knight, New Mutants and Elektra. Seeing the original pages reproduced in high-res, full sized format is sure to be a delight and a revelation. Considering the $125 list price, fans will have to think about how they’ll reciprocate before putting this one on Santa’s list. 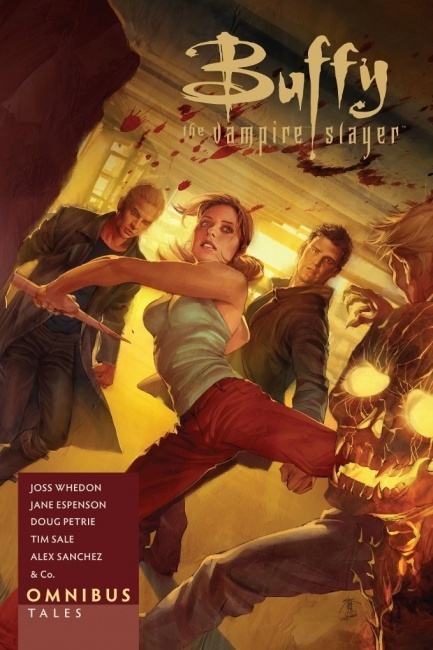 Buffy the Vampire Slayer Omnibus: Tales TPB by Joss Whedon and many others (Dark Horse Comics). 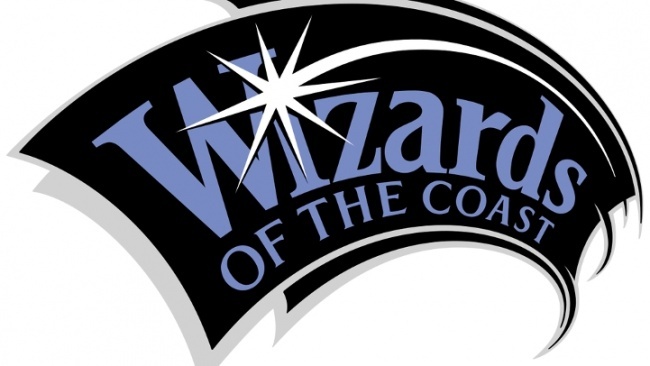 A recent change in license ownership has driven a stake through the heart of Dark Horse’s long and fruitful extension of the Buffy franchise in comics, but like any good horror film, there’s always one last gasp from the corpse before the credits roll. This omnibus collects an assortment of mini-series and one-shots, including many penned by Buffy alums like Amber Benson, Jane Espenson and Ben Edlund, paired with artists like Jason Shawn Alexander, Gene Colan, Steve Lieber and P. Craig Russell. As with most Dark Horse collections, this one offers great value for money: at $24.99, it’s almost a stocking-stuffer. 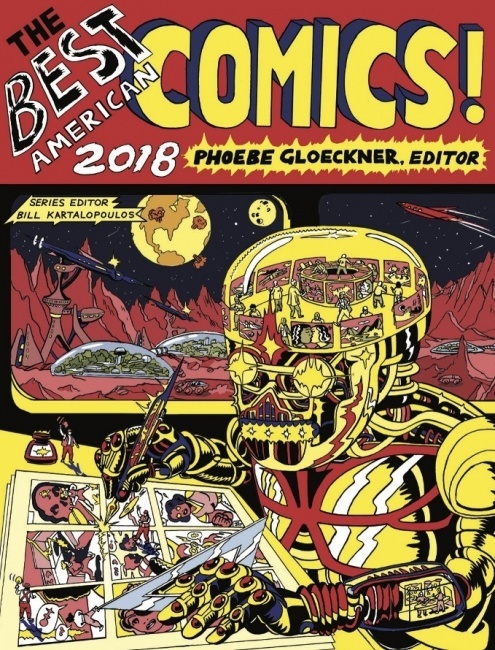 The Best American Comics 2018 edited by Phoebe Gloeckner and Bill Kartalopoulos (Houghton Mifflin). 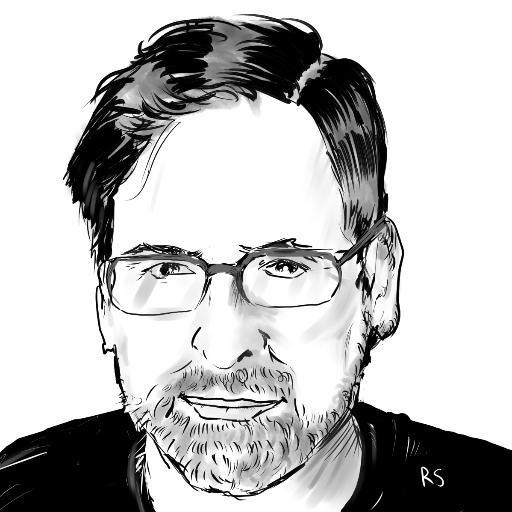 Get nine comic fans in a room and you will get at least ten opinions about the "best" anything, so take the title claim with a grain of salt. Regardless, this series never fails to challenge and impress with a wide-ranging assortment of great work, particularly from the art-indy side of the business. 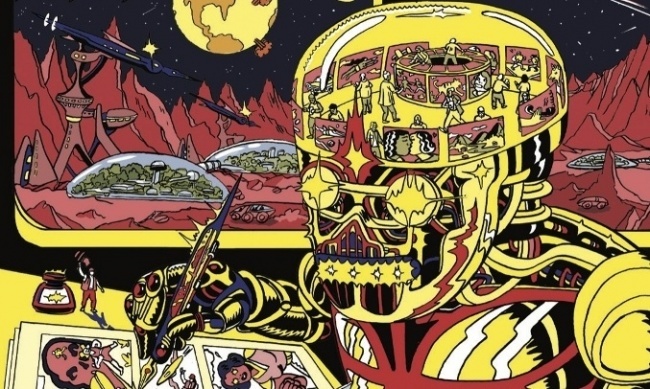 This year’s edition includes Gabrielle Bell, Geoff Darrow, Emil Ferris, Guy DeLisle, Jaime Hernandez, Sarah Glidden and Simon Hanselmann, while introducing talents like Max Clotfelter and Aaron Lange to a wider audience. 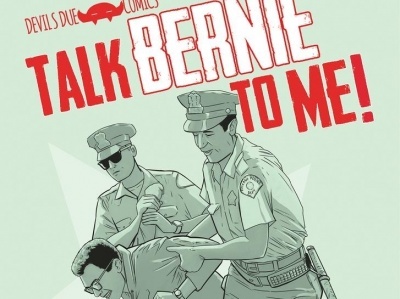 Just $25 buys a meaty 416-page hardcover. Berlin: Collected Edition by Jason Lutes (Drawn and Quarterly). OK, a book about the collapse of Germany’s Weimar Republic and the rise of the Nazis might not be ideal to spread holiday cheer. However, if you take joy in comics that expand the horizons of the medium and match any contemporary prose literature for drama and sophistication, Berlin is reason to celebrate. 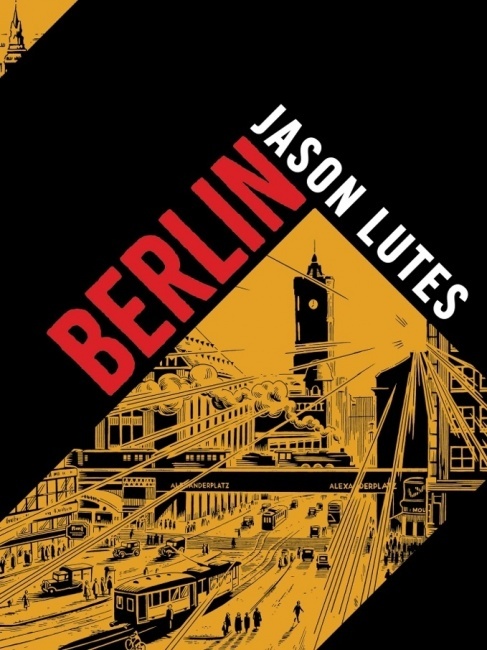 Lutes took over two decades to tell his story of intrigue and romance against the backdrop of 1920s Berlin, with two previous volumes collected, the last in 2012. Now D&Q has put the whole saga together in a deluxe hardcover for $44.95, less than the price of three trades. DC Universe: The Bronze Age Omnibus by Jack Kirby (DC). 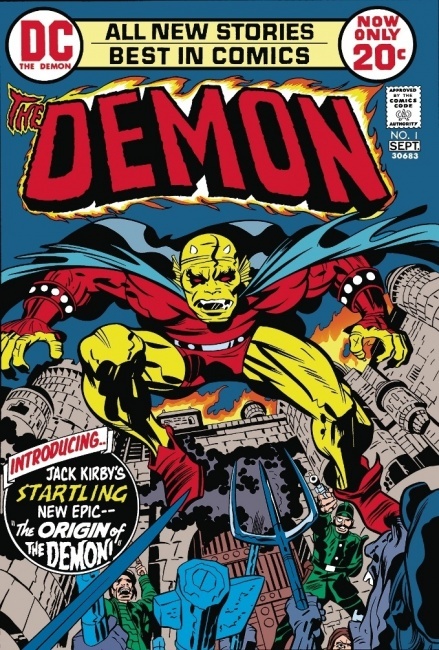 The latest in DC’s collection of cinder block-sized Omnibus editions collects over 1400 pages of Jack Kirby’s work done for DC in the 1970s and 80s: basically, everything except the Fourth World titles and Kamandi. What does that leave? Well, OMAC, The Demon, Sandman, Super Powers, an underrated run on The Losers and a range of one-shots from the offbeat (Green Team, Richard Dragon) to the essential (In the Days of the Mob, Spirit World). DC didn’t use the King to the best of his mighty abilities on some of this stuff, but Kirby is Kirby, and completists will appreciate having all this between covers. 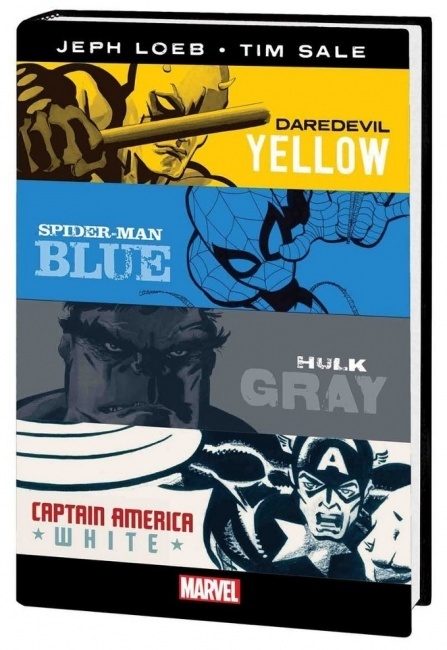 Marvel Knights: Jeph Loeb and Tim Sale Yellow, Blue, Gray and White Omnibus by Jeph Loeb and Tim Sale (Marvel). If you prefer your Marvel comics by the ton, this colorful collection, due out December 18, collects four intriguing takes on Daredevil, Spider-Man, the Hulk and Captain America by the award-winning team of Loeb and Sale. 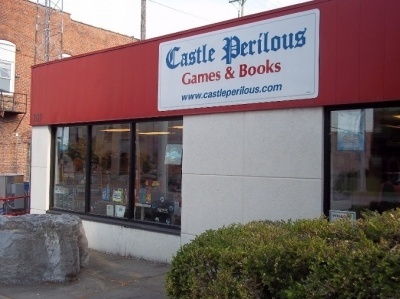 The volume includes all four mini-series in a well-designed hardcover, list price of $100. 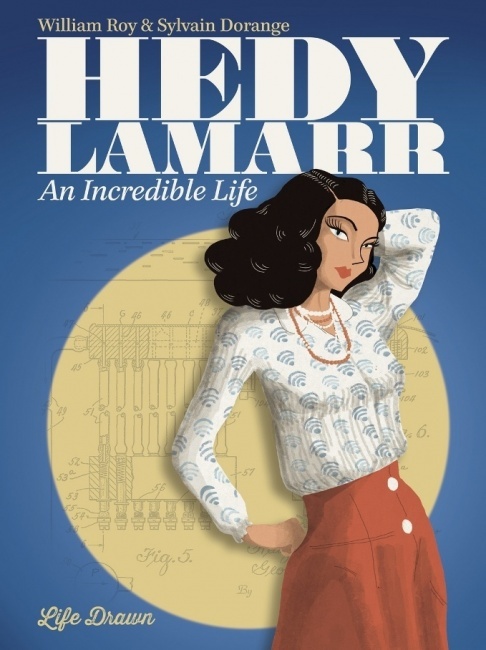 Hedy Lamarr: An Incredible Life by William Roy and Sylvain Dorange (Humanoids). 1940s Hollywood star Hedy Lamarr maintained a secret life as an inventor and engineer, developing one of the bedrock technologies of today’s communication age. This slim, well-drawn graphic biography translates the original French work into a compelling and readable story that makes it my pick for "graphic novels for non graphic-novel readers" this season. Affordable paperback comes out in a week or two, so you have time to order it from your local comic shop if they don’t have it in stock. That’s just what caught my eye over the last few weeks. As the holiday season approaches in earnest, I’m sure there will be even more great work vying for a spot on the gift list, as well as competitive prices from all the usual suspects. 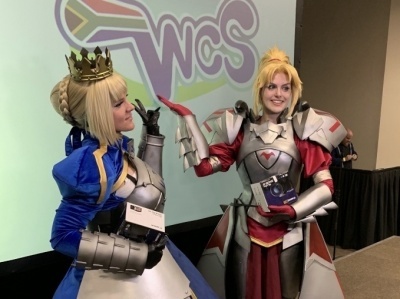 For all our Gifts Week articles on 2018 holiday merchandising, see "It's Gifts Week at ICv2!"